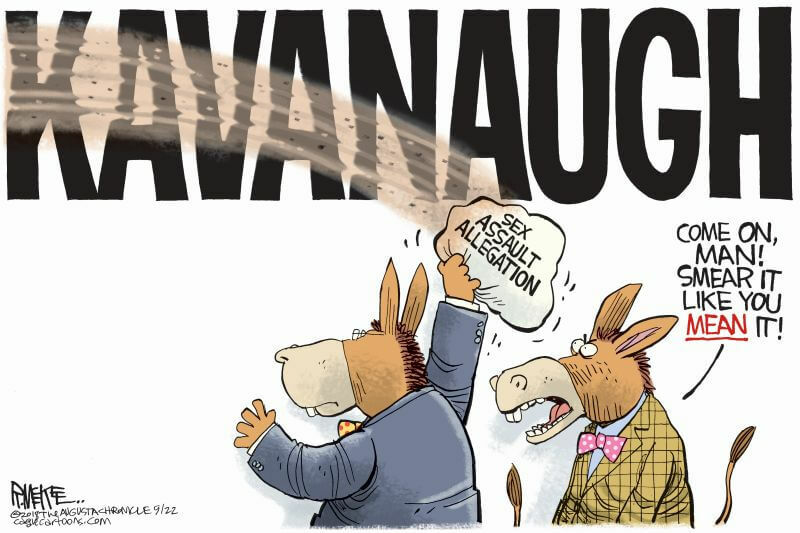 The cartoon below shows exactly what Democrats have done to Supreme Court nominee judge Brett Kavanaugh. Katz is representing Dr. Christine Blasey Ford, who claims Supreme Court nominee Brett Kavanaugh sexually assaulted her in the 1980s while the two were in high school. The lawyer has numerous ties to the resistance against Trump, and was caught on camera at a protest in February 2017 after Jeff Sessions was confirmed as the administration’s attorney general. The Gargoyle, the alumni magazine for the University of Wisconsin Law School, profiled Katz on August 9, 2018 and found her to be just as committed to fighting the president as she was at the 2017 protest. “The resistance is not going away, says Katz, and she is committed to being part of it,” the Gargoyle wrote.